Let’s face it: being in the hospital is horrible. No one really enjoys being strapped to a sick bed in a building full of strangers. On top of the discomfort of being in alien, sterile surroundings, a hospital stay is an experience that abounds with anxiety and uncertainty. But with the healthcare industry putting more of their focus towards holistic patient comfort as an essential tool in wellness and healing, there is also a large shift in the way hospitals deliver their best care. Aside from providing topnotch medical services, more and more hospitals are putting a premium on their choice of patient linens. It’s a fact that linens are among the biggest culprits in hospital-based cross-contamination. They’re the perfect vehicle for infection-causing microbes, transferring them from one spot to another and from one person to another. Most patients and their loved ones are well aware of this, adding to the anxiety and discomfort of their hospital stay. Providing patients with fresh, clean linens – processed in a facility equipped to handle medical linens – not only eliminates any possibility of cross-contamination but also eases patients’ worry. They’ll feel more at ease during the course of their hospital stay. But are clean linens all that it takes to deliver topnotch patient care? Certainly not anymore. The days of flimsy, rough hospital linens are long gone. In their place are lush, comfortable linens that used to only belong in spas and hotels. As more and more hospitals are seeing the benefits of a more personalized, more comfortable approach to patient care, higher-quality linens are inching their way into hospitals and other medical facilities across the country. Patient care experts and linen management experts have found that higher-quality linens – with their softer, smoother, cozier feel – help provide a homier, more relaxed atmosphere to an otherwise stark situation. Much like the effects of fresh flowers or brightly colored paintings in hospital rooms, comfortable linens help patients relax and feel at home throughout their treatment, thus improving their overall patient experience significantly. As simple as linens may seem, the impact they have on patient experience is undeniably huge. Want to know how to make a hospital bed more comfortable? Upgrade to better linens! An upgrade might be all that is holding your facility back from providing the best kind of medical care to your patients. It’s easier than you think! Take a more efficient approach to quality hospital linens with the help of a reliable linen service partner like MedClean! 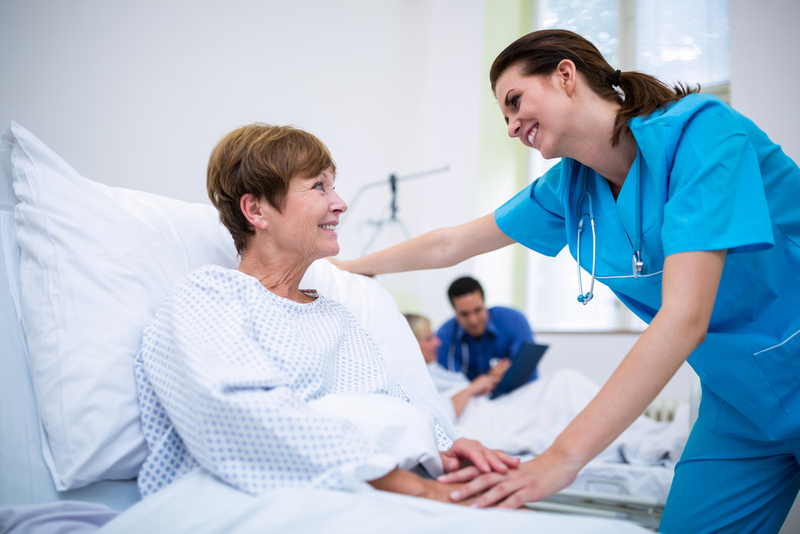 We can help you learn how to make a hospital bed more comfortable – in fact, we can help you with your entire facility’s linen needs. MedClean combines years of expert experience in the medical linen industry and a dedication to customer satisfaction that matches your desire to provide for your patients. MedClean can provide you with the perfect medical linens for your facility: the kind that balances comfort and quality with the latest in medical laundry technology. Explore better quality linen options today. Contact us to learn more about what MedClean can do for you and your patients!